At JavaOne, Microsoft announced that Azure Functions, which allows users to run small pieces of code in the cloud, support Java. This update adds to the number of supported languages for Azure Functions and makes Microsoft the second major cloud provider to introduce serverless Java support. At Ignite, Microsoft ported Azure Functions to .NET Core 2.0, enabling cross-platform .NET availability and providing the runtime to allow support for other programming languages. Java is now in a public preview and one of the longest outstanding requested features among developers using Azure Functions. 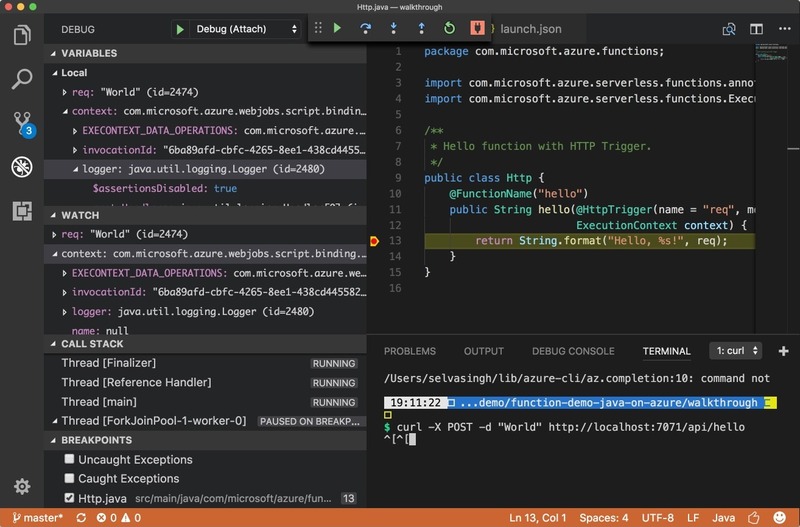 Microsoft also released a new plug-in for the Maven build-automation system enabling developers to create, build and deploy Azure Functions from their existing Maven-enabled projects. The new Java runtime will share all the differentiated features provided by Azure Functions, such as the wide range of triggering options and data bindings, serverless execution model with auto-scale, as well as pay-per-execution pricing. With the Java support, developers do not need to use new tools. They can use IDEs and editors like Eclipse, IntelliJ, and VS Code to build and debug Azure Functions locally on their machines. The major cloud providers all invest in their serverless platforms to promote further use of their other services. Events from these other services—including databases and storage—trigger executions of serverless compute instances whether it is Azure Functions, AWS Lambda, Google Cloud, or the new Oracle Fn platform. Microsoft's new Azure Functions Java support and Oracle's recent JavaOne/OpenWorld reflect the continuing innovations around Java and the vitality of the Java community.